Lip Gold 24 Karat. Special Edition. This Special Edition lip balm is designed to indulge your lips. 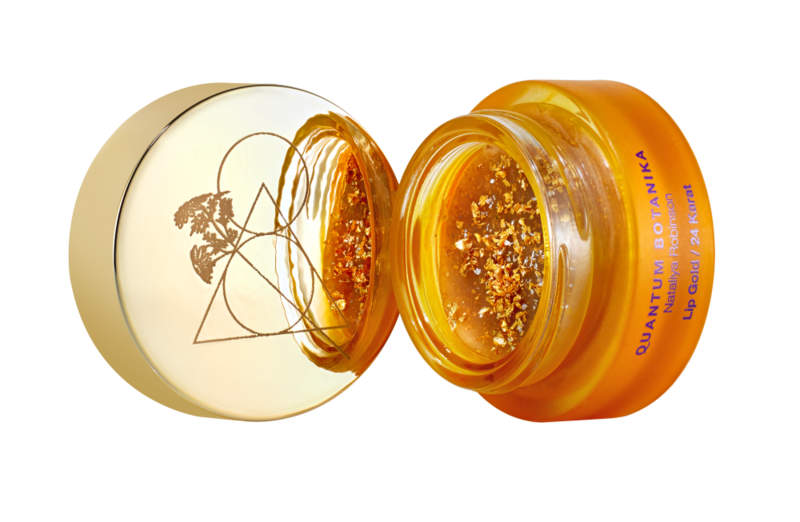 Laced with natural and mineral, pure Gold ( 24 Karat) particles that are free from toxins and kind to your lips. A maximum dose of pure gold infuses this formulation with natural decadence to achieve ultimate shimmer without any synthetic substances. The result: nourished and glowing lips , all thanks to the gold created by Mother Earth ! Beeswax, Sweet Almond Oil, Shea Butter and natural lanolin (cruelty free!) combine in this nourishing lip balm, which leaves soft and replenished, whilst powder of 24-karat-gold add a subtle glow. Lip Gold is free from petroleum, chemicals and an extremely natural product. Safe and responsible manufacture. Free from nano-particals. No chemical ingredients of synthetic origin. 100% natural origin. Proudly British. Beeswax, Sweet Almond Oil, Shea Butter and natural lanolin ( animal free cruelty! 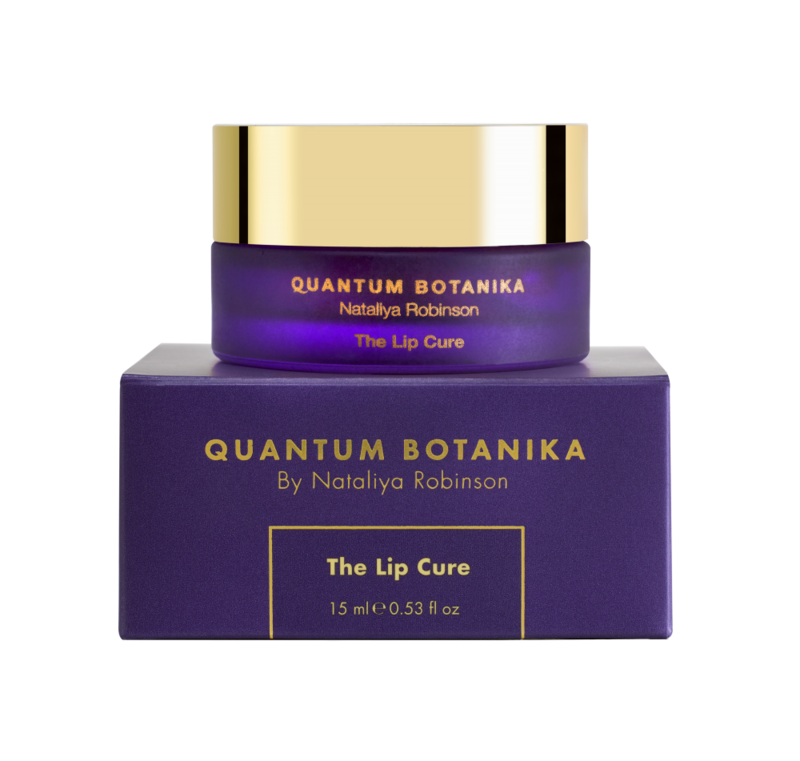 combine in this nourishing lip balm, which leaves soft and replenished, whilst powder of 24-karat-gold add a subtle glow. Lip Gold is free from petroleum, chemicals and an extremely natural product. Apply liberally, whenever the lips feel dry or are exposed to harsh climates. Worne alone, it leaves a gentle shimmer: it can also be layered beneath or on top of lipstick. Organic Shea Butter refined. Beeswax White. Lanolin Anhydrous (cruelty free!). Sweet Almond Oil. Olive Oil. Pure Gold 24 Karat. All displayed product prices are inclusive of UK VAT for customers within the EU, and exclusive of VAT for customers outside the EU. Please note we reserve the right to alter the displayed rates for large orders – you will be advised of this before the charge is applied. Fulfilled by Royal Mail Second Class “Signed For” service, who aim to get your order to you as quickly as possible, but please do allow 5-7 working days. Fulfilled by Royal Mail Air Mail, who aim to get your order to you as quickly as possible, but please do allow 5-7 working days. Please ensure that someone will be at the delivery address to sign for the delivery. Fulfilled by Royal Mail Air Mail, who aim to get your order to you as quickly as possible, but please do allow 7-10 working days. Please ensure that someone will be at the delivery address to sign for the delivery. The delivery cost does not include any applicable duty or customs tariffs that may be levied upon importation. These charges must be paid by the consignee and could delay delivery. Fulfilled by Royal Mail Air Mail, who aim to get your order to you as quickly as possible, but please do allow 10 - 14 working days. Please ensure that someone will be at the delivery address to sign for the delivery. For further information (including tracking numbers where applicable) please contact us at and state your Order Number in the email. * While we make every effort to ensure that these delivery lead times are adhered to, there are occasions when unforeseen circumstances could cause delays. † Includes Turkey/Africa/Asia/Middle East/Far East/ Russian Federation/South America/Australia/New Zealand. Please note that any orders for more than 5 products to be shipped outside of the UK will be subject to an additional delivery fee based on the total package weight. The Lip Cure. No more dry lips ! The verdict I float out into the street feeling relaxed, refreshed and incredibly clean. Nataliya presses a tiny bottle of orange powder into my palm. ”I can’t tell you what’s in it”, she whispers. ”It’s a secret. But you’ll never get spots on your chin again.” . She’s right – within 24 hours my skin looks clear, bright and healthier than ever and the spots on my chin, which I’ve battled with for years, have completely vanished. This former skincare refusenik is about to become horribly high-maintenance. Hi Nataliya! Just wanted to say thanks for telling me about the Vitamin E capsules. My skin feels so much better since I started using them. It’s much less dry and the redness has gone down quite a bit. Amazing stuff! So happy I found you. The Skin Whisperer . Not for nothing has Nataliya Robinson’s European Facial earned her the queen-of-perfect-skin crown.